Gham Power is a distributed renewable energy service company based in Nepal.This initiative, titled Offgridbazaar, was undertaken to bridge the gap between rural farmers and urban agro-processing suppliers. The initiative was recognized by InnovationXchange as one of 16 winners (among 700 concepts) for Frontier Innovators. Donors and the government promote concessionary financial opportunities; as an example, the government created a $50 million fund to subsidize agricultural loans during FY 2017/2018. But, absence of standardized and data-driven approach to subsidy dissemination results in cost-ineffectiveness and opacity of dealing. Consequently, intended farmers rarely benefit from such subsidies. The absence of farmer’s information - willingness to pay, variance in monthly income - makes designing pay-as-you-go financing scheme difficult. Even when PAYG is implemented, the cost of collecting repayments increases the operational cost for the supplier. Suppliers then have to increase the capital cost to compensate for this operational cost, making agro-processing equipment further expensive for low-income farmers. In rural markets, demand for agro-processing is often scattered over a wide area. Opening physical warehouses and shops to supply agro-processing equipment in rural locations is highly unprofitable for suppliers; hence, suppliers are predominantly concentrated in urban areas where demand is clustered. Due to this absence, rural farmers cannot make purchase of agro-processing solutions. 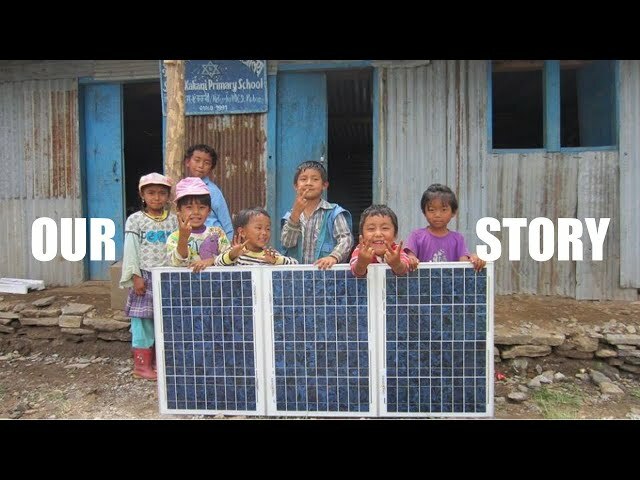 Gham Power, a social enterprise based in Nepal, has developed an online project development platform - offgridbazaar.com. Through the platform, farmers can remotely demand agro-processing using a mobile phone or a laptop from rural locations. This solves problem (4). Farmers upload their agricultural information into the platform along with their need of agro-processing equipment and Gham Power’s algorithms compute the farmer’s monthly cash flow, which in turn helps Gham to establish farmer’s willingness to pay. Through this, Gham can design PAYG financing systems. The platform also enables farmers to make mobile money payment for their monthly installment of PAYG system. These solutions solve problem (3). The platform registers farmer’s agro-processing demand and displays these as separate projects, online. Algorithms calculate the demonstrated financing need of each farmers. Government entities and donors browse through individual projects and fund select farmers. This reduces the cost of disseminating subsidy for the donors, while also enhancing transparency. This data-driven approach also ensures that subsidies are driven towards intended farmers. This addresses problem (2). For uncollateralized farmers, Gham Power has developed an alternative credit scoring algorithms that assesses the risk of investing in individual farmers. Farmers, who cannot obtain a debt from official financial institutions but demonstrate credit-worthiness, are financed by Gham Power. This makes sure that deserving farmers can make credit purchase of agro-processing equipment. The farmers repay Gham over 3 year periods. This solves the problem associated with problem (1). Using OFFGRIDBAZAAR.COM, Gham Power has been able to deliver 150+ Solar Water Pumping Systems (irrigation solutions), 2 Solar-powered grinding mills, and 1 large scale refrigeration set, in a span of 11 months of implementation. This has benefited more than 500 farming households, inclusive of 890 women farmers. The social rate of investment, as calculated by IIX - a Singapore-based impact investment firm - stands at 3.55, meaning every dollar invested by farmer yields $3.55 in social benefit. The total private capital leverage generated during this time period exceeds $100000, while grants channeled through the platform is estimated at $35000. Cumulatively, more than a thousand farmers and 30 sales agent have been trained to disseminate the benefits of using offgridbazaar.com in their respective areas. More farmers will be impacted as Gham replicates OFFGRIDBAZAAR over wider regions.